Remember back a little while ago I made a roast veggie quinoa salad? And it was delicious and you all loved it? RIGHT? Well anyway, I made mention that the salad was too big for little ole me and I made the rest into burgers, which I froze. They were pretty damn good. In fact, I have two left in the freezer that I am afraid to eat, because once I do, there is no more. Never mind the fact I can just make another batch. Shut up. Anyway, if YOU want to make some, first you have to make the salad. The recipe you will find if you follow the abovementioned link. Then to your leftovers (about four cups of salad or so) you will add one egg and 1/4 cup plain flour. You will then put spoonfuls of this mix into a hot frying pan to reasonably resemble burgers. You will then flip the burgers after a few minutes, when the underside should be nice and brown. You can put them over a pretty high heat without too much issue. You will cook them for another couple of minutes until browned and heated through. You will then eat them however you like. On a bun with salad, on a plate with stuff, sprinkled with salt and eaten with a fork… I can personally vouch for all three here. Especially if you put the burger on a bun with salad and sweet chilli sauce and sour cream. 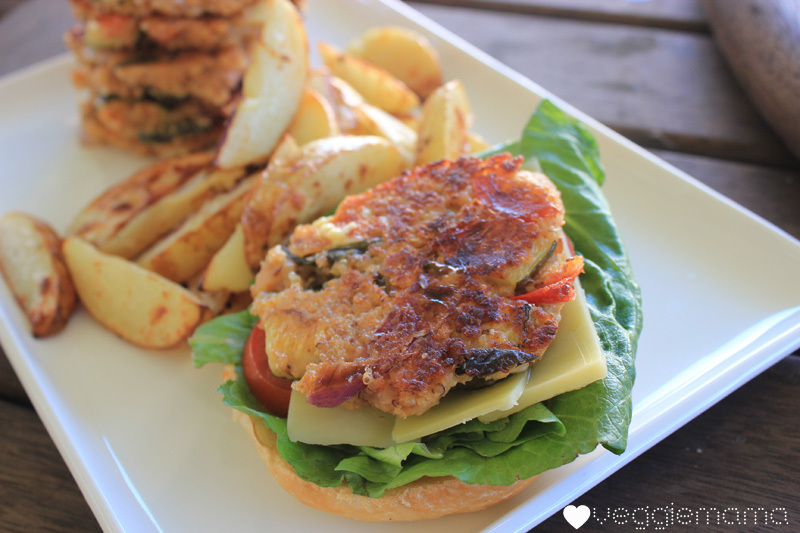 Veggie Mama seal of approval. They look so delicious! I reallly want to make these. 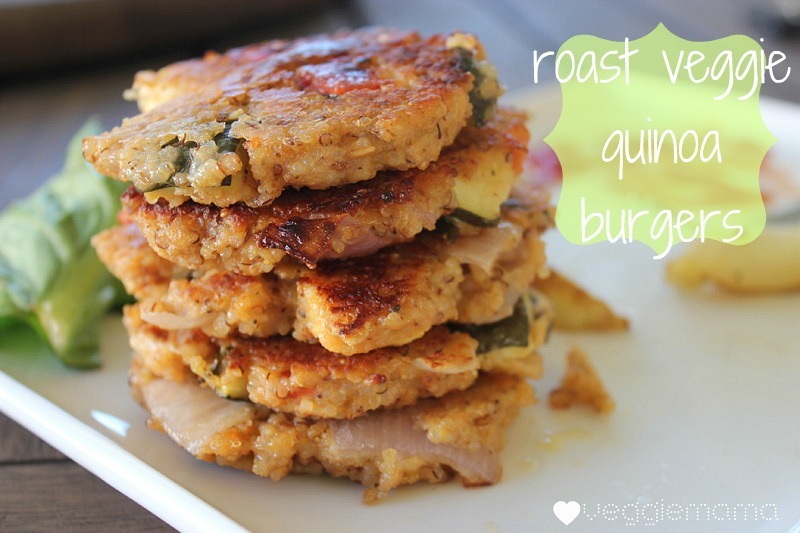 *takes deep breath* okay, I'm going to try quinoa this week, cause these look pretty delish! haha I'm still surprised at how much I like it! Better than cous cous. Made these, loved them! Perfect for toting to the office. I've had to go on a really restricted diet for a few months – no sugar, soy, dairy (except yogurt), wheat, corn, yeast, etc, and I'm still trying to eat vegetarian as much as possible. I made these substituting equal parts buckwheat and oat flour with whatever veggies I had on hand, served with tzatziki sauce, and they hit the spot. Thanks so much for another winner recipe! I will be making these soon I like the idea of having something healthy in the freezer for lunch or an easy dinner ,great Idea ,thanks Stacey for sharing.